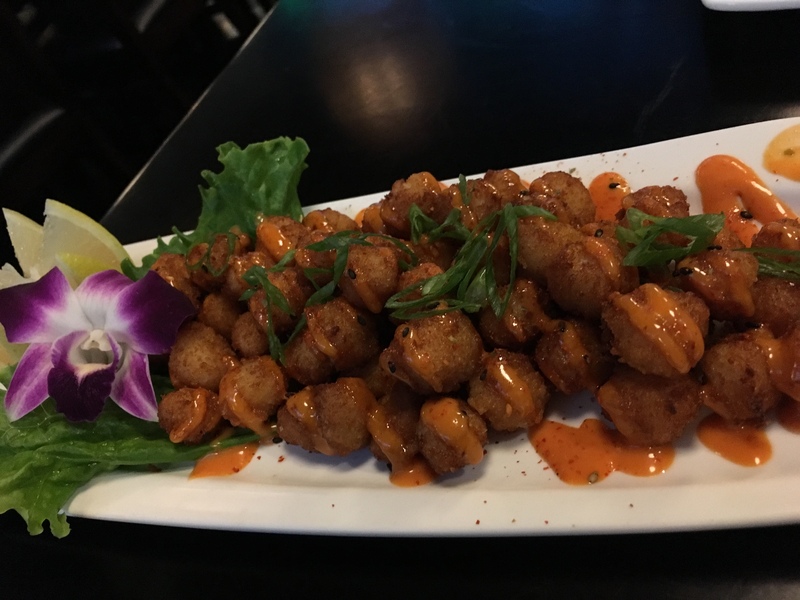 I love sushi so whenever I hear about a must try spot I can’t resist. The most recent discovery did not disappoint. 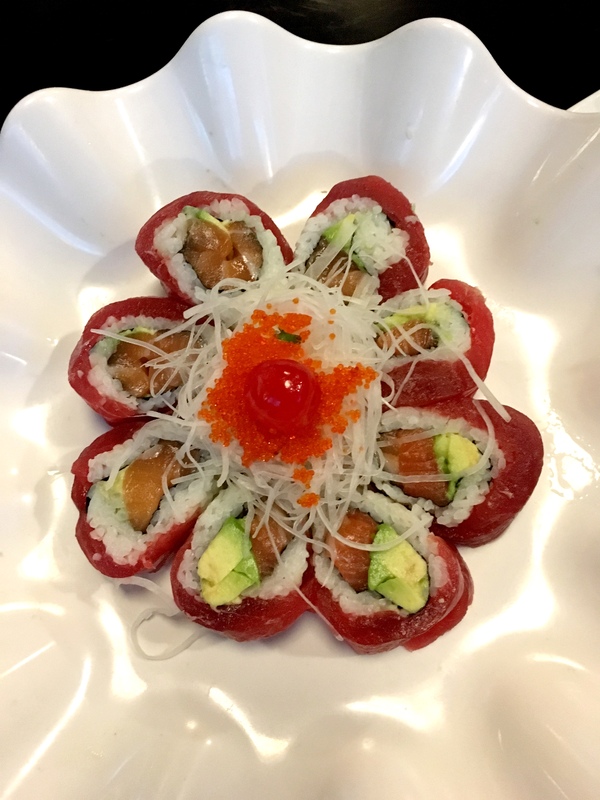 Tucked in The Tustin Market Place right in the middle of the center, where the old Tower Records resided, you will find Mizu Sushi Bar and Grill. As you drive up to the complimentary valet you know that this location is special. 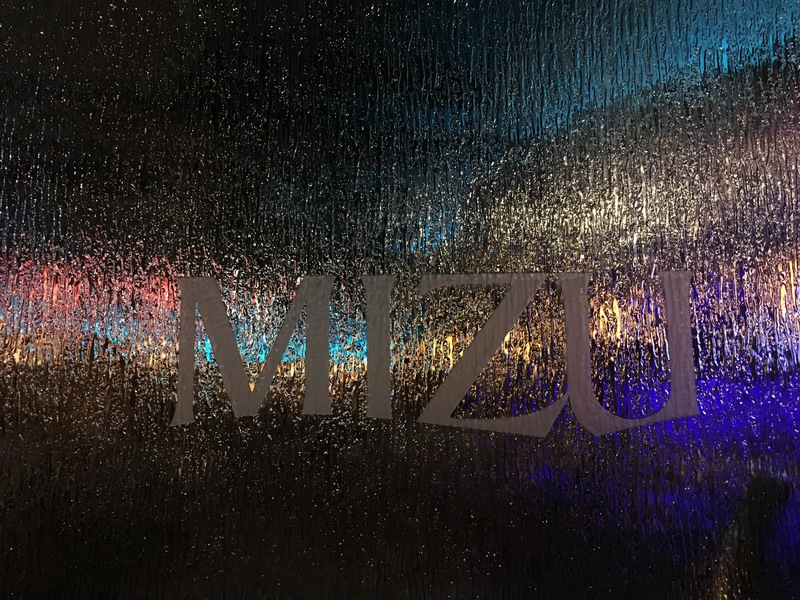 The frosted doors with Mizu’s name etched onto them open to a scene from a movie. 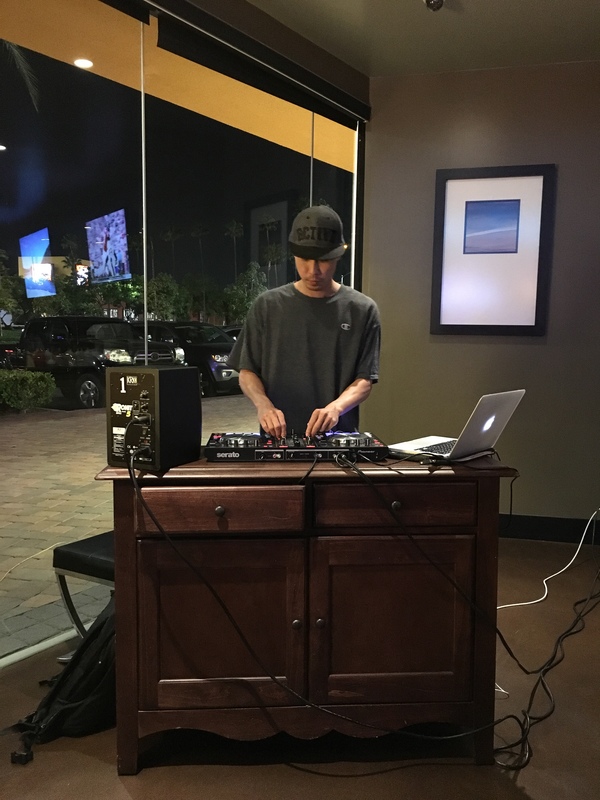 The waterlike lighting, sleek design and live DJ transport you to a new way to dine in Orange County. 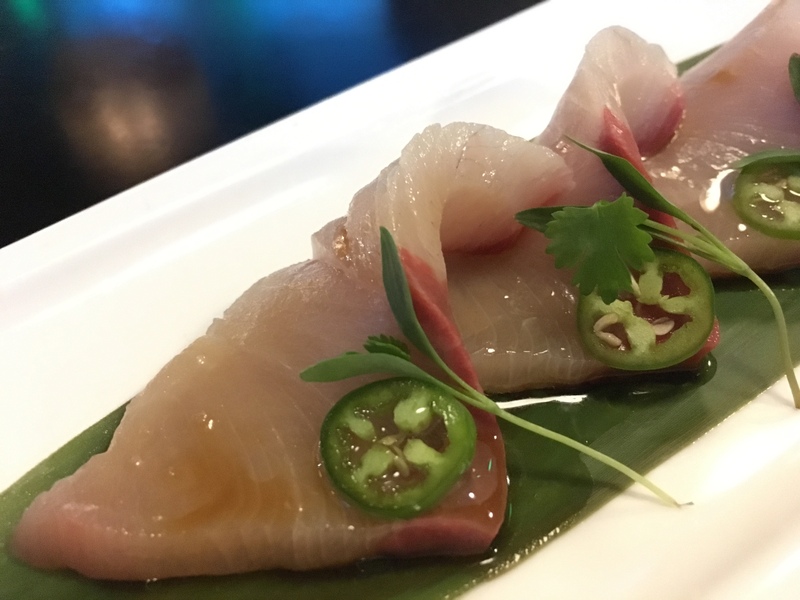 Mizu, which means water, offers a unique fusion of Japanese and Korean flavors. 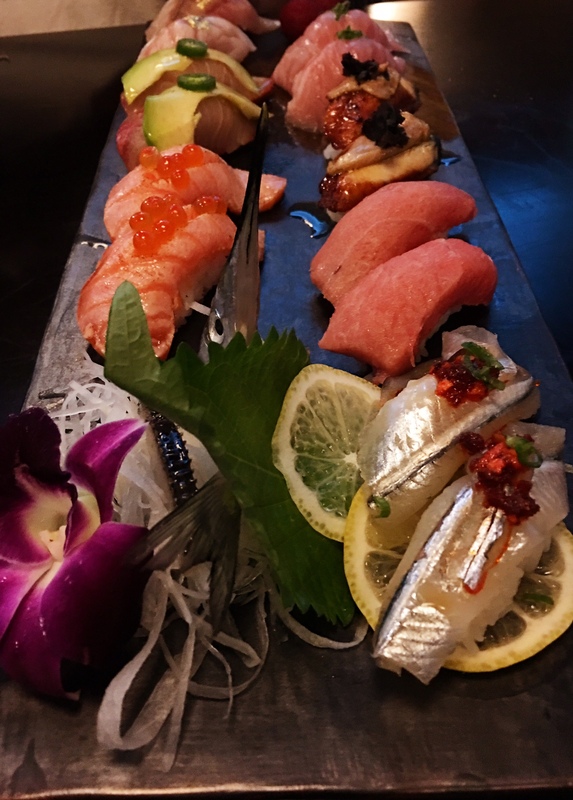 Their dishes are artfully prepared and they use some of the best and freshest sushi my mouth has ever tasted. Literately their sushi melted in my mouth and completely indulge my senses. 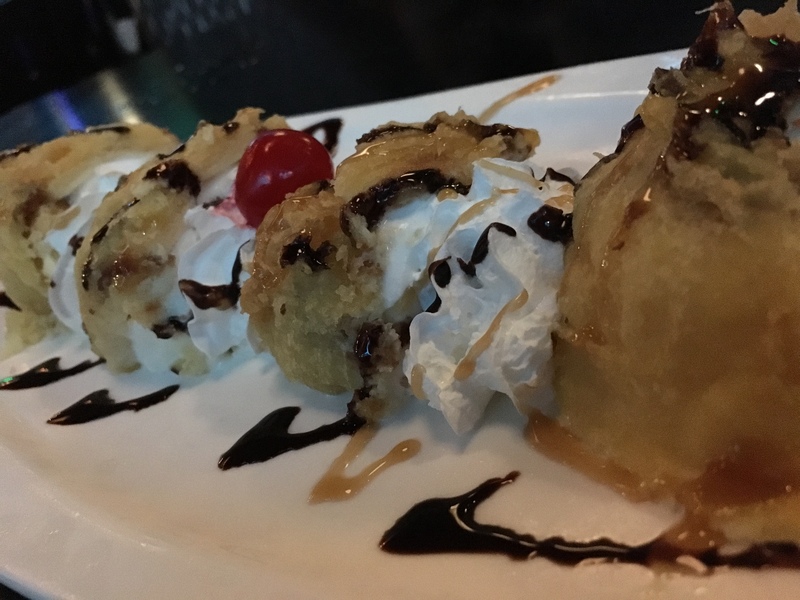 Their selection of sushi is served family style so that you can share and sample a variety of items. Ever had trouble finding a seat the bar? Not here! 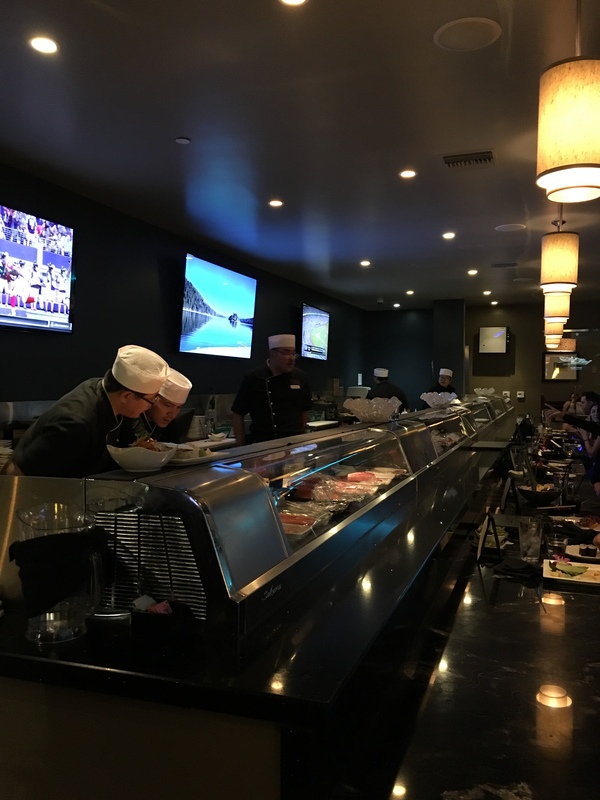 Mizu has one of the largest sushi bars in the state measuring in at 38 feet long. 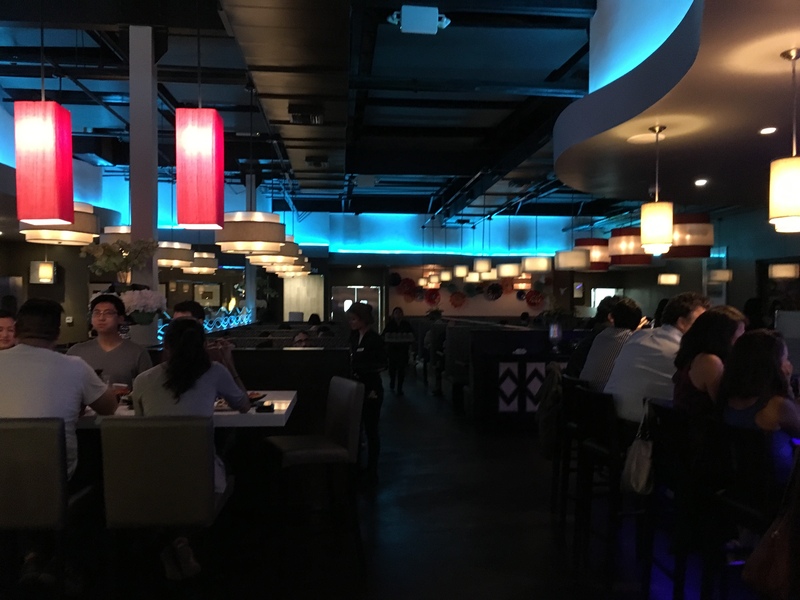 Mizu also offers a varied selection of sake, spirits and wine in our full bar which paired with great company makes a memorable night. 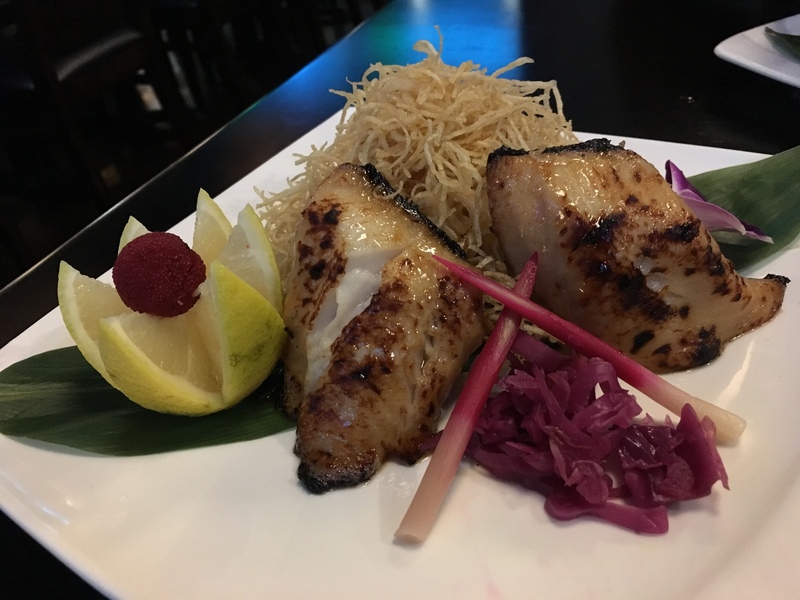 Due to its size, Mizu is a perfect place to come and celebrate and they also have a private room for larger parties. 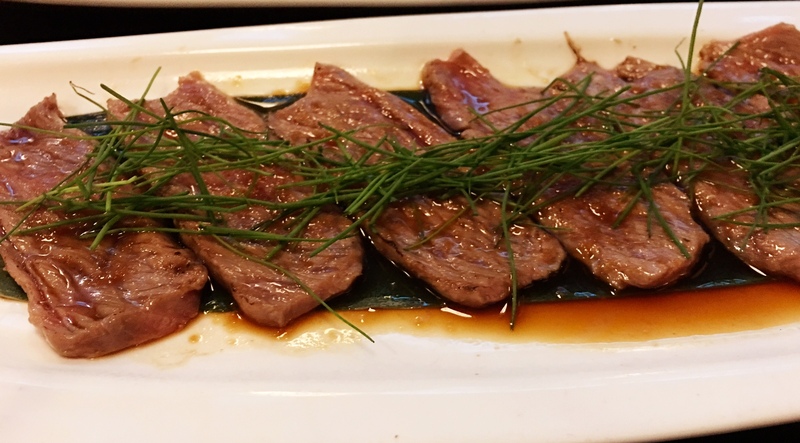 Mizu is located at 2881 El Camino Real in Tustin. You can follow them on Facebook at https://www.facebook.com/MizuTustin, Instagram at mizutustin or check out their website at http://mizusbg.com/.